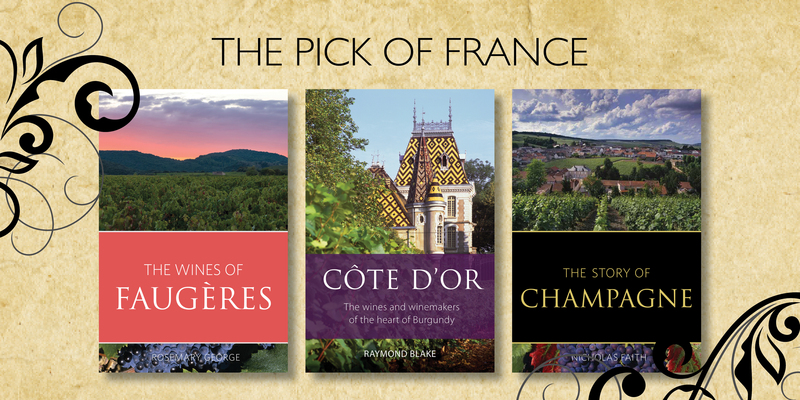 France produces some of the best wines in the world, and this collection contains three French gems. The secret to the consistently excellent wines of the Faugères wine appellation lies in its unique terroir. In The wines of Faugères, Rosemary George MW provides a comprehensive guide to the wines of this remarkably compact and homogeneous area. The Côte d’Or may also be small in size but its influence is huge and its reputation awe-inspiring. Raymond Blake’s companionable Côte d’Or: The wines and winemakers of the heart of Burgundy demystifies a notoriously complicated region, explaining succinctly the history of winemaking, the complexity of the subdivided vineyards and the special role played by geology and climate in the creation of these wines. And who can resist champagne? Nicholas Faith’s classic study of the world’s greatest wine, The story of Champagne, is a masterpiece of storytelling and analysis that kindles excitement about the different types of champagne and the landscape, geology and climate that inspire them.